My birthday is 5 months, 3 weeks, 2 days, and 8 hours away. Today I'm starting to plan my party. So what if the Big Day's not exactly around the corner? This little girl is planning her party now. She has to, if she wants to have the best birthday party ever. She'll have the tallest birthday cake in the world, plus camels, elephants, a ferris wheel (of course), and a castle . . . with a moat. Kids will laugh out loud at the girl's wild plans, and love the oh-so-sweet ending, which involves a modest but fun party. 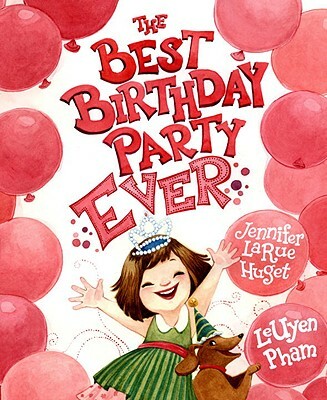 Jennifer LaRue Huget and LeUyen Pham brilliantly capture what it feels like to be the Birthday Girl -- a feeling many children will relate to.